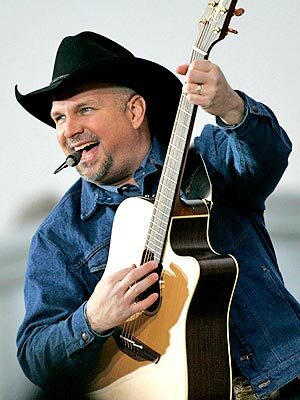 I’ve never been much of a Garth Brooks fan, although I’m a little bit more country now than I was in my younger days. I remember being a bit incredulous back in 2007 when Vancouver, B.C., DJ Red Robinson told me that Garth Brooks was the only entertainer he had seen who could generate the level of excitement in a concert crowd comparable to that which Elvis did in Vancouver in 1957. Garth Brooks, really? Well, guess what happened when it was announced that Garth Brooks was coming to my hometown of Spokane on November 11, 2017. He sold 84,000 tickets online in 90 minutes! That’s enough to fill the city arena of 12,000 seats seven times over. Apparently ever farmer in Eastern Washington State was bringing his whole clan to town to see Garth. So the singer and his wife hung out in Spokane for three days while they put on seven shows. Now, I know you didn’t log on to this blog to read about Garth Brooks, so let me make a connection to Elvis. I do have a few songs, all ballads, by Garth in my iTunes library. One of them is “The Dance,” which some consider his “signature song.” Some of the lyrics in that song, it seems to me, relate, metaphorically, to the relationship between Elvis and his fans over the years. Here are the lyrics in question, as written by Tony Arata. OK, you might think it’s a stretch that these “love-lost” lyrics have anything to do with Elvis and his fans, but hear me out. Just remember, we’re looking at a metaphor, a figurative comparison, not a literal one. Elvis’s fans came to him generally in five groups through the years. Each of the groups had its “dance” with Elvis, their “come-to-Elvis” experiences at different times. The first came in bunches here and there as Elvis passed through their Southern backwater towns when his popularity was first growing in 1954-55. They could hear him on the radio when DJs played his Sun records and when he appeared on the Louisiana Hayride. The second group came in droves across the country in 1956-57, when Elvis appeared live in over 100 cities and communities across the country. Three Hollywood movies brought him to neighborhood theaters and twelve network TV appearances brought him right into the living rooms of American families. The third group of fans came to Elvis when he emerged from the army in 1960 as a more mature and tamed pop music singer and movie star. 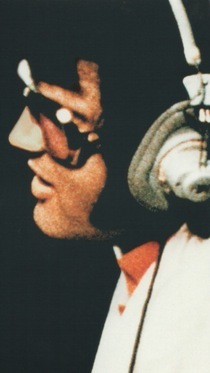 Elvis won still a fourth group of fans with his Vegas shows and nation-wide tours in the 1970s. Finally, for various reasons, a small group of new fans have embraced Elvis in the years since his death in 1977. Many early fans merged with future groups of new followers through years and have remained Elvis fans to this day. However, in each group, Elvis lost some fans who felt he had left them behind as he passed from one phrase of his career to another. For example, Elvis left all of his fans when he went into exile in the army for two years in 1958. While a handful of new records kept him on the charts during that dark period, he was totally out of sight—no stage shows, no movies, no TV. Elvis’s biggest demographic before entering the army was the junior high school age group, 14-15 year olds, mostly girls. Two years is an eternity to kids that age, so many of them found new idols in the likes of Ricky Nelson, Frankie Avalon, and Fabian. They undoubtedly felt some regret, some disappointment, and even some pain (metaphorically) when Elvis left them. I’m guessing, though, that they never forgot their “dance” with him when they first declared themselves his fans. I was among the third group of Presley’s new fans, those who came to him in his pop-singer-movie-star incarnation of the early sixties. In 1962 “Return to Sender” was on the charts and Girls! Girls! Girls! was in theaters when I, at age 13, became a fervent Presley fan. We post-army fans knew Elvis only on the movie screen and had little hope of ever seeing him on stage in our hometowns. Elvis left many of his fans in my generation behind, my brother among them, when he failed to meet the challenge of The Beatles. To many fans he abdicated his throne as the King of Rock ’n’ roll on February 7, 1964, when the Fab Four landed in New York. While remaining loyal to Elvis, I admittedly felt some disappointment when the idol of my youth continued down Hollywood’s path with its accompanying bland music. My original connection (aka “dance”) with Elvis in 1962 was so deeply felt, however, that it wouldn’t allow me to let my loyalty lapse, and so I followed him into the dreary movie and music years of the mid to late-sixties. Many, many of his fans, though, let him go at that time, no doubt with varying degrees of sorrow and regret. 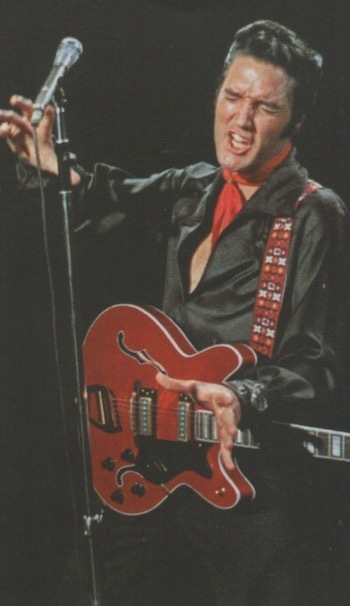 Elvis won a fourth group of new fans, though, when he left Hollywood and returned to the concert stage in 1970s. Most were adults, as Elvis, in his mid-thirties by then, was too old to charm the adolescent crowd into his fold. Still, audiences filled the Vegas showrooms and big city arenas to see the updated Elvis. Many of his new fans were probably not new fans at all, but rather former fans whose first affection for him years ago had now been reawakened. But there were many new fans, along with his loyal cadre from previous generations. Sadly, Elvis left this fourth group of fans behind in the most painful way, by self-destructive habits and behavior that led to his early death at age 42. At that time, I remember first feeling sadness, then disappointment, which then for a time turned into mild anger when details emerged revealing that Elvis’s career-long image as a near flawless man was just that—an image. Eventually, I was able to reconcile my feelings about Elvis. Whatever failings he had in his personal life, he was still an immensely talented entertainer. I couldn’t hold it against him that he was also a human being who was vulnerable to the frailties and disappointments we all experience in life. 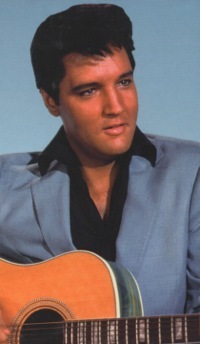 "Whatever failings Elvis had in his personal life, he was still an immensely talented entertainer. I couldn’t hold it against him that he was also a human being."